17 Tracks. A special double program full of Miklós Rózsas magical touch for spectacular films, always with a great influence of Post Romantic European music. 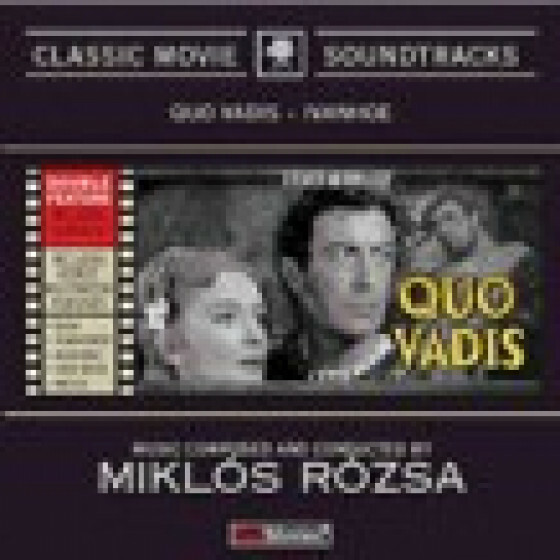 The music of Quo Vadis was nominated for the Academy award, although Rózsa had to wait eight years before winning his third Oscar with Ben-Hur. Ivanhoe, a triumphal score dominated by medieval fanfare, was the first of four collaborations between Rózsa and director Richard Thorpe.